Oh good god. A sudden cold took me out of the lineup yesterday, but I still needed to cover all these NFL stories! Injuries, awkward QB situations, and the first wave of cuts highlight today’s news. Let’s just run through the names of some of the stars that are going to be “Physically Unable to Perform” the first six weeks of the regular season. -Percy Harvin, Seattle Seahawks. Recovering from hip surgery. -Jonathan Stewart, Carolina Panthers. Ankle injury. -Melvin Ingram, San Diego Chargers. Tore his ACL back in May. -Adam Carriker, Washington Redskins. Rehabbing from quad surgery. -Mario Manningham, San Francisco 49ers. ACL and PCL tear last season. -Michael Crabtree, San Francisco 49ers. Achilles injury. -Jameel McClain, Baltimore Ravens. Spinal cord contusion. Cardinal first round pick Jonathan Cooper fractured his fibula in his last preseason game. He’s been placed on the Injured Reserve list with the Designation to Return. That means at some point late in the year he’ll be able to return to the roster if healthy. Now, I understand that an offensive line like Arizona’s will need all the help it can get, but why hold Cooper to a roster spot when you’re not even sure he’ll make it back? The recovery time is 10-12 weeks, so the Cardinals will be out of it by then or they’ll be in a hunt for a playoff spot. Which would beg the question of if they should mess with the consistency of the line after they’ve been playing together for those 10-12 games. (I’m not saying they’ll be a stellar line without him, but still.) It might be better to just let him sit out the year. WTF AFC NYJ BUF QB’S? Yeah. Two teams in this division are having legit concerns at the quarterback position. The first, of course, being the hapless New York Jets. Rex Ryan gave rookie Geno Smith the start in the Jets’ third preseason game Saturday, only to watch as he imploded with three interceptions and a “running-desperately-out-of-the-endzone” safety. 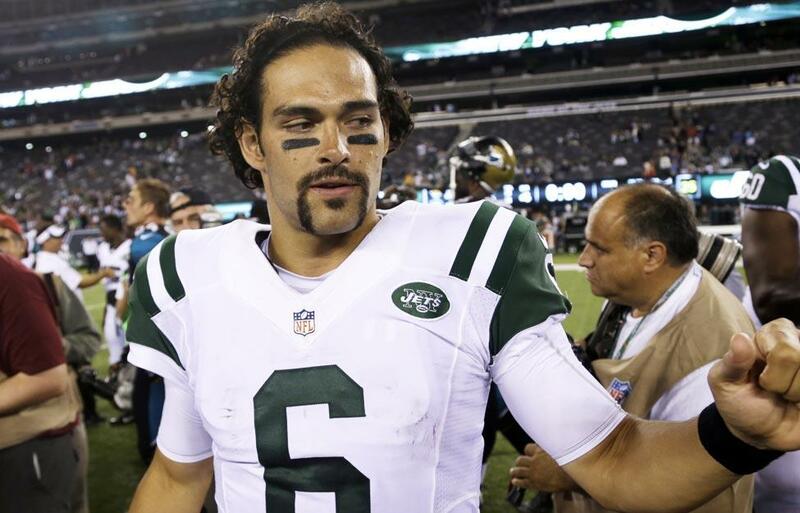 When he was benched in the second half along with most of the other starters, Ryan brought in… Mark Sanchez. You know, that guy that probably should be the starter because Smith is clearly not ready? Well, Sanchez came in and got leveled on a few plays, including one that resulted in a shoulder injury. Now the Jets can’t really decide who is going to be their starter in the last preseason game, much less the starter in week one. Um… this hair/mustache needs to stop. He really is dirty now. Now, I don’t mind Ryan getting a look at Geno. It was necessary for him to take the job away from Sanchez if he was ready for it. But to put Sanchez in when he literally has nothing to prove? That’s just ridiculous. One fourth quarter of a preseason game will tell you nothing new about Sanchez. His playing good or bad against the opposing scrubs means next to nothing. Ryan knows what he has in Sanchez. It might not be very good, but it’s probably better than Geno Smith right now. Rex deserves the flack he’s getting in the media. Meanwhile in Buffalo… Kevin Kolb’s concussion is being treated as “career-threatening.” With rookie E.J. Manuel still recovering from a knee surgery, that leaves undrafted rookie Jeff Tuel as their likely game one starter. This discussion may be moot if Manuel can get back to the practice field soon, but let it be known the Patriot defense is salivating over the idea of Tuel under center. This would be a terrible ending for Kolb, who has a history of concussion troubles. Vikings fullback Jerome Felton was suspended for three games for violating the league’s substance abuse policy. Some reports indicate it is the result of a June 2012 DUI charge that Felton pleaded down to reckless driving. Regardless, this is a blow for a team that relies heavily on the run. I know they have new receivers, but opening up holes for Adrian Peterson to ‘roid through is still the primary offensive option. Felton has to get credit for his blocks during Peterson’s historic 2012. It won’t derail their season, but his absence will be notable. With rosters needing to be trimmed to 75 by the end of the league day on Tuesday, here are a few of the more notable players now on the market. 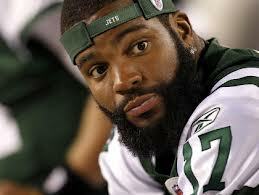 New York Jets: WR Braylon Edwards, RB Joe McKnight. Washington Redskins: WR Donte Stallworth. Miami Dolphins: G Lance Louis. These first cuts usually don’t include a ton of household names. If a player is released at this first juncture, he’s not a great shot to land with another team soon. Edwards is the biggest name on this list, having never lived up to his high draft status. Louis left the Bears for greener pastures, but couldn’t get healthy and compete for a spot on the roster. And that’s all I have for you today! I’m wiped. The predictions for all 32 NFL teams are coming soon, so be on the lookout! ← I Came SO Close to Buying Disney Infinity. HELP!